If its not moving, monogram it! 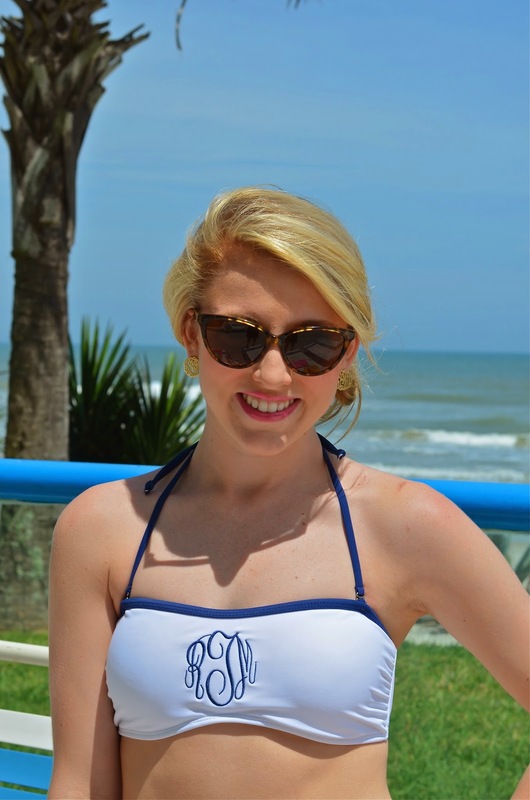 This monogrammed bandeau from RahRah Designs has been an exciting part of my spring break at the beach. Being able to wear my monogram while I tan has to be one of the most brilliant ideas ever. And what makes it even cuter are the monogrammed bottoms to match! 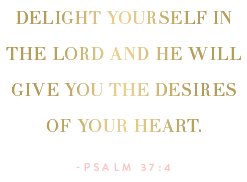 There are many colors to choose for the bandeaus and bottoms. 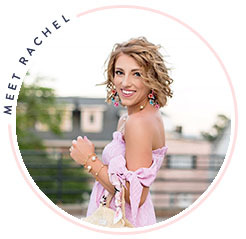 RahRah Designs is the perfectly preppy monogram solution for swimsuits. Let's just say, this is without a doubt my new favorite suit and every preppy girl should have one. Spacious, light weight and perfectly preppy, how darling are these accessories from Hayden Reis! The Flamingo Ditty Bag is pretty fabulous. 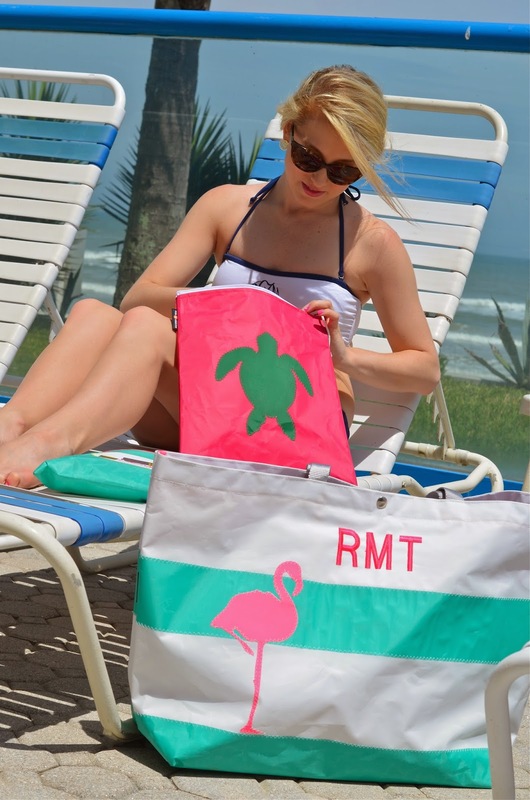 Not only is it extra large with so many pockets, but it's waterproof and perfect for the beach and pool environment. The colors are my favorite, and my initials are on it! I always hate it when my sunscreen makes the items in my beach bag sticky. Now, I can keep it in the sunscreen bag. This makes me quite the happy girl. 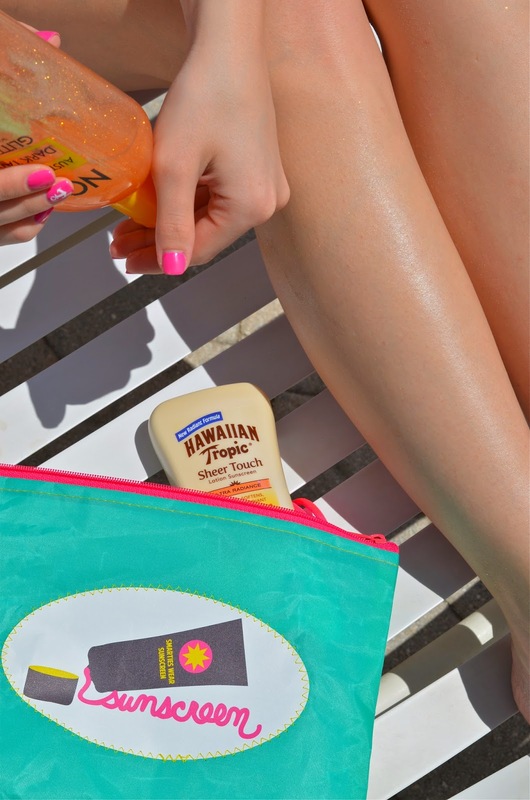 Also, the beach bud bag is perfect for holding my valuables, coverup, or anything I don't want to get sandy or sticky. I'm also crushing over the mesh sea shell pouches (says the avid shell hunter over here). I am so excited to be part of the ambassador program for Hayden Reis, so if you'd like to know more on an item, feel free to email me. Aren't these companies simply fabulous? Love the swimsuit and all the fun Hayden Reis goodies! I love all of the monograms! Your hair (updo) is beautiful! Love all the monograms combined, so cute.